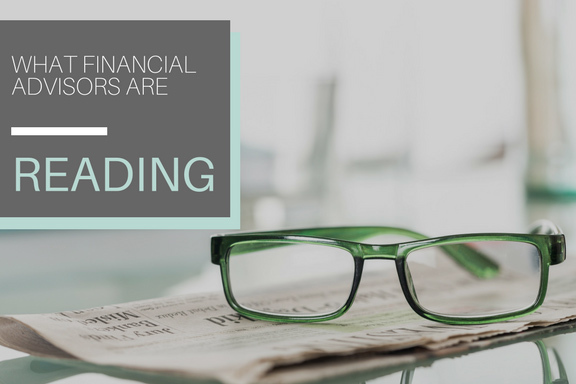 This week’s round-up of news stories financial advisors are reading. What are you reading? If you would like an article to be included in the round-up, email eunice.park@www.dedicated-db.com. We will let you know if your submission has been accepted. Business owners who want to take advantage of the new 20% deduction (199A) to their qualified business income (QBI) under the new tax law may want to consider defined benefit plans in lieu of typical defined contribution plans (401k, Roth IRA, SEP) due to their higher contribution limits. The Tax Cuts and Jobs Act, which eliminated or limited many popular deductions, surprisingly make Defined Benefit plans much more appealing, many advisors and CPAs are now saying. Small business owners can play catch up for retirement and significantly reduce their tax liability by stacking a Cash Balance plan on top of a Profit Sharing 401(k) plan. For high-earning business owners, a Cash Balance may hold the key to securing a comfortable retirement while reducing current tax liability. Retirement planning is not a priority for many entrepreneurs, and saving for retirement as a small business owner isn’t as simple as being automatically enrolled in a company 401(k) plan. Here are some of the biggest errors entrepreneurs are making when it comes to retirement planning. Small Business Owners aren’t preparing sufficiently for retirement with 75% of participants having saved less than $100,000, according to a survey conducted by BMO Wealth Management. Here are five ways small business owners can wisely plan for retirement – a Defined Benefit plan may also be a good option. The majority of Americans have no idea how much money they will need to retire. A survey conducted by Bankrate found that 61 percent of Americans don’t know how much money they’ll need to save for retirement, including nearly three-fifths of every adult generation over age 37.